Dairy Challenge is a hands-on opportunity for students from four-year universities and two-year dairy programs to apply classroom learning to actual dairy farm analysis. Working in five-person, mixed-university teams, students at the Midwest Dairy Challenge assessed all aspects of a working dairy farm in Manitowoc County, Wis.
Students from 19 post-secondary dairy programs gather at Meadowbrook Dairy in Manitowoc, Wis., for welcome from owner Pete Kappleman. 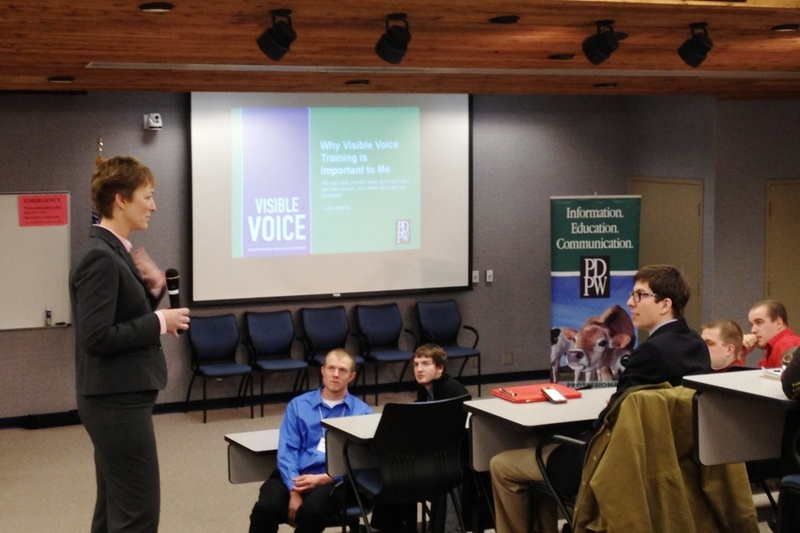 Shelly Mayer of Professional Dairy Producers of Wisconsin helps participants learn ways to share positive dairy messages to inform consumers and policy leaders.